I first became familiar and involved with SWB when I was at my primary school West Park, where I participated and competed in disability sports events such as Boccia and New Age Curling. When I joined my Secondary school Angmering, I continued to attend and compete in SWB disability sport events/festivals. Attending SWB competition’s, inspired me and gave me great confidence to regularly participate in competitive sport and I’m grateful for the opportunities SWB gave me. 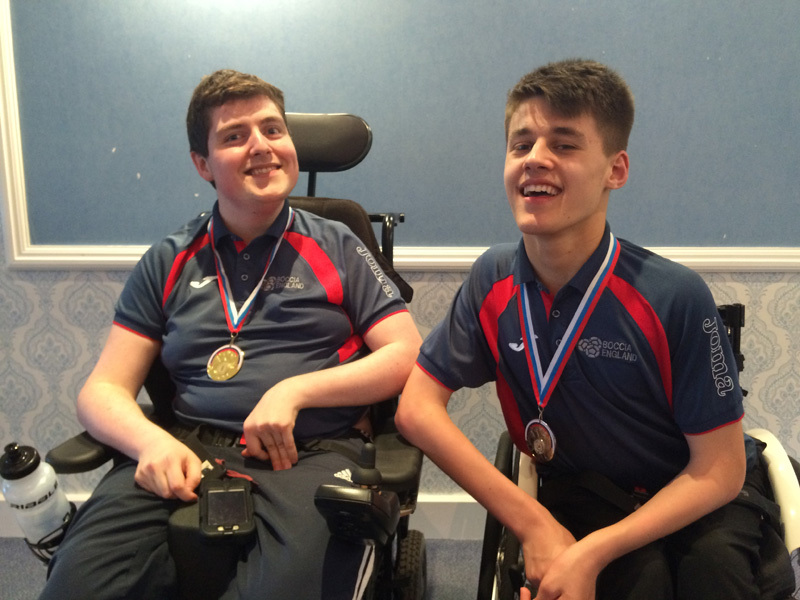 I play Boccia at national and international level and last year won gold in Russia which was an incredible achievement (I’m on the left in the picture) SWB have been very much part of my Boccia journey and have been a great foundation for me. I’ve previously helped out at SWB events as a leader, which has been a great opportunity to stay involved in and help out at SWB events and to most importantly give something back to the organisation.